It’s my daughter Freya’s second birthday today, and I wanted to share the picture of me that scared the absolute crap out of her a few weeks ago. I was shaving, and getting nothing but hassle from them. 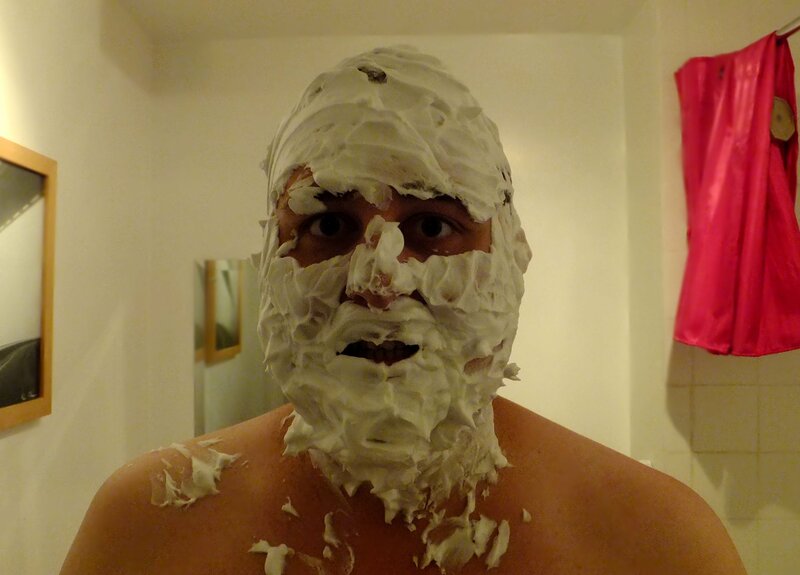 So I covered my entire head in shaving foam, and then chased them around the house. They were petrified…and I’ve just discovered this snap on my camera’s memory card. It might just have to be my new avatar. In fact, I should’ve posted this for Halloween!